A stunning shortlist of incredible astronomical images have been unveiled by the Royal Observatory Greenwich for its tenth annual Insight Investment Astronomy Photographer of the Year 2018 competition. Shortlisted images include astro-landscape gems such as the night sky space framed by a glacial tongue of Iceland's Vatnajökull glacier, a close-up of the International Space Station crossing the sun, and star trails behind sacred altars in Inner Mongolia. From the 4,200 entries from 91 countries, there is also plenty of deep sky astrophotography of subjects from our Solar System, galaxy and the universe beyond. Saturn makes an appearance, as does the cosmic gas, bright stars and dark dust of IC 342 – the ‘Hidden Galaxy’ – and the NGC 2023 nebula. 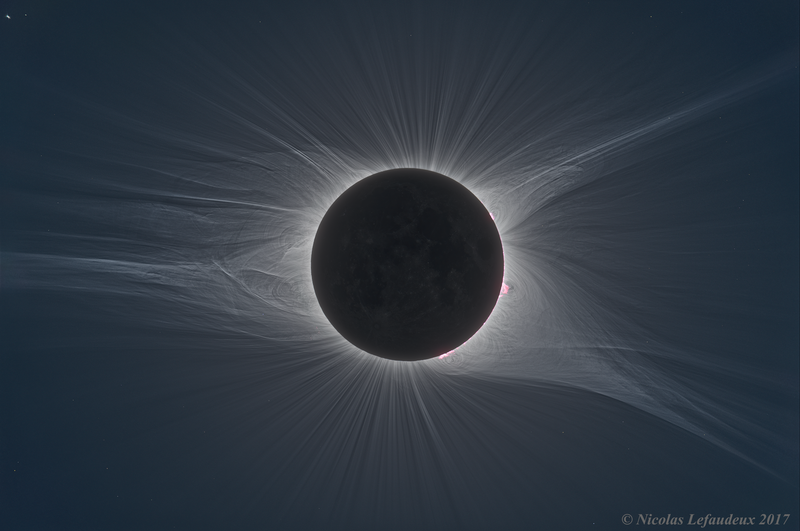 French HDR astrophotographer Nicolas Lefaudeux, who recently produced a stunning image of last year's Total Solar Eclipse in the US, has contributed an incredible colour image of our satellite. "The Full Moon is known to show little contrast but when there are no high contrast relief shadows we see an unusual sight – Moon colours!" he says. "I used similar algorithms to the one I developed for the solar eclipse, but applied it to the colours instead. I was surprised to see some craters turn blue, while others orange." 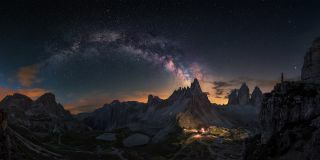 Spanish photographer Carlos F. Turienzo contributed 'Guardian of Tre Cime', an astro-landscape shot last summer in Auronzo di Cadore, Italy. "We had been travelling for 24 hours without sleeping to reach our destination before the one night where clear skies were forecasted ended," says Turienzo. "Eventually the clouds disappeared and the magic happened: a beautiful Milky Way emerged over the mountains! It was amazing being there together enjoying the magnificent spectacle, truly a dream come true." In total there are nine categories, and the winning images – including two special prizes – will be announced on Tuesday 23 October at a special award ceremony at the National Maritime Museum in London. The competition’s judges include comedian and keen amateur astronomer, Jon Culshaw; Editor of BBC Sky at Night Magazine, Chris Bramley; the Royal Observatory’s Public Astronomer Dr. Marek Kukula; and other art and astronomy experts. The overall winner will receive £10,000, while winners of all other categories and the Young Astronomy Photographer of the Year will receive £1,500 each. From Wednesday 24 October 2018 the National Maritime Museum will host an exhibition not only of 2018's winning images, but also those from previous years to celebrate 10 years of outstanding astrophotography.